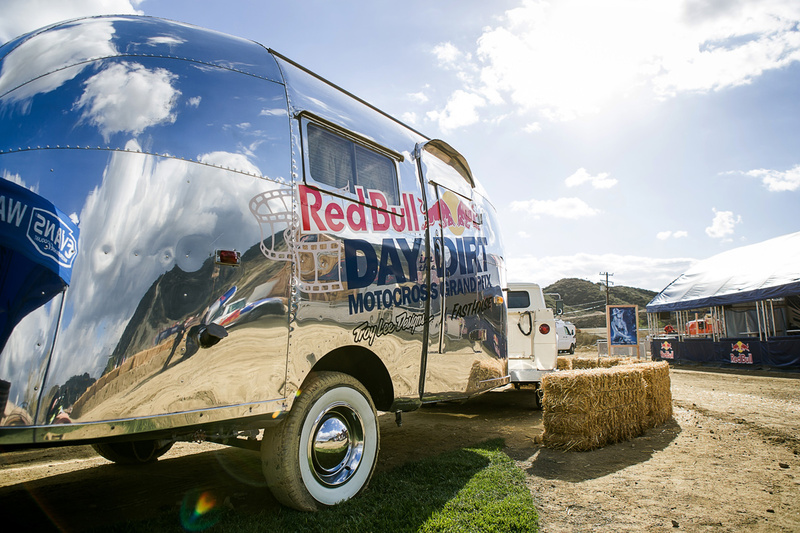 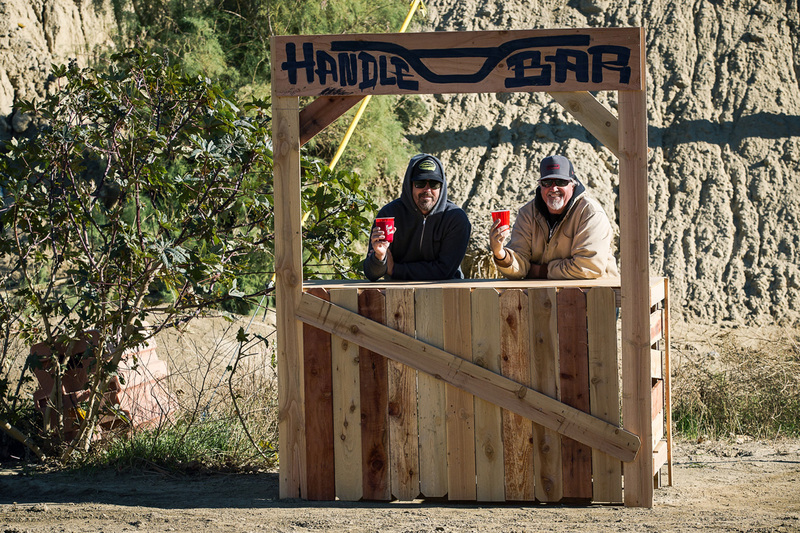 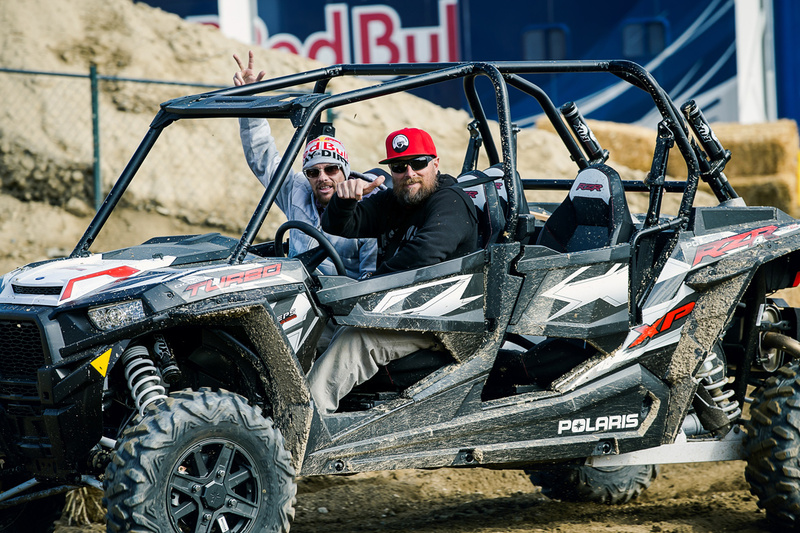 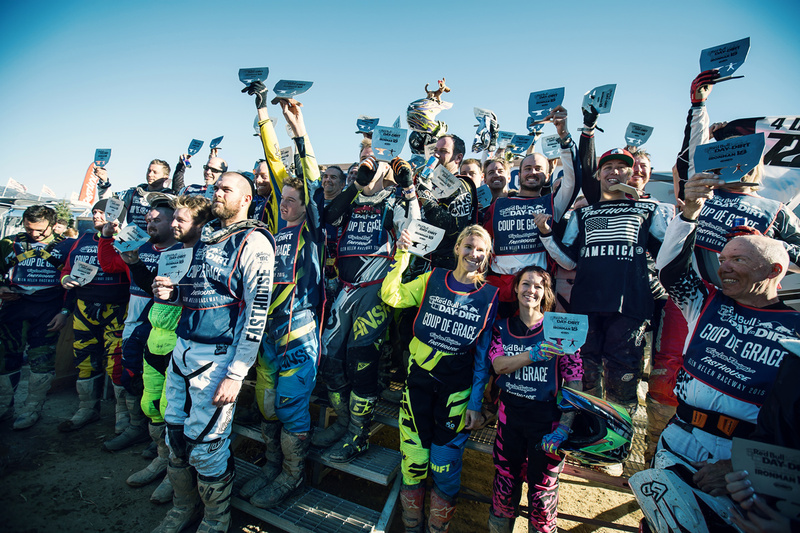 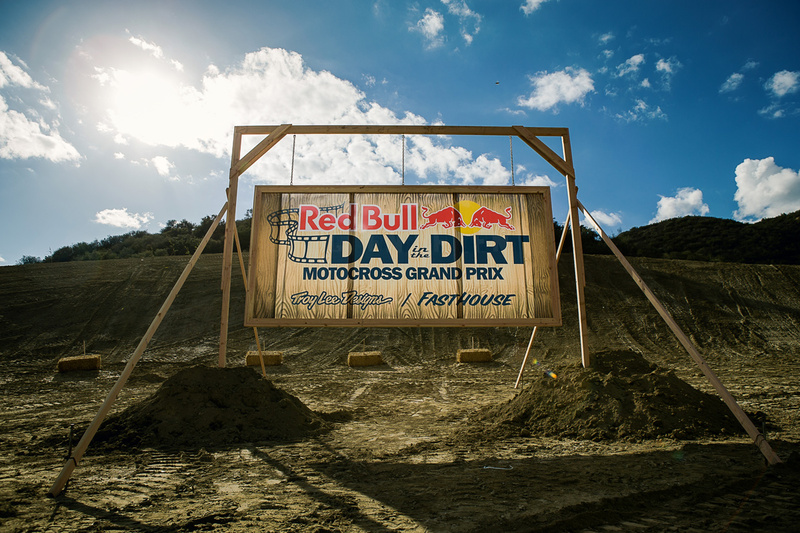 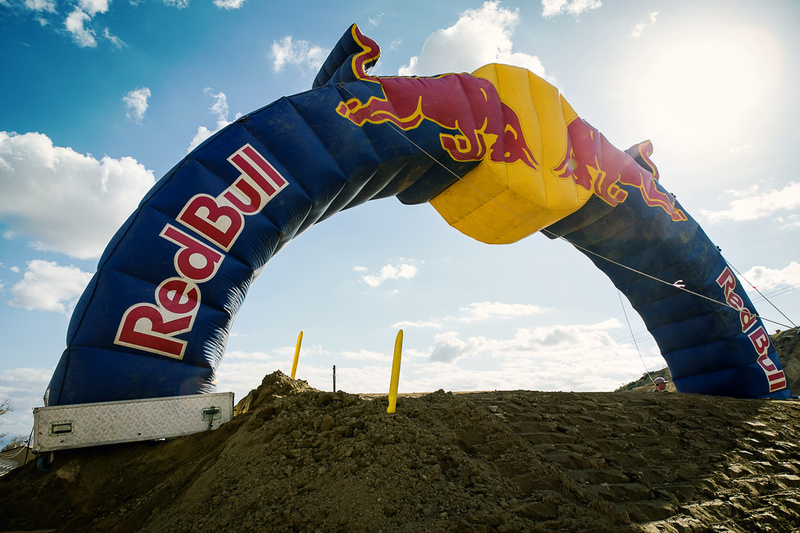 Red Bull Day In The Dirt 18 has come and passed, and we're already looking forward to next year's event. 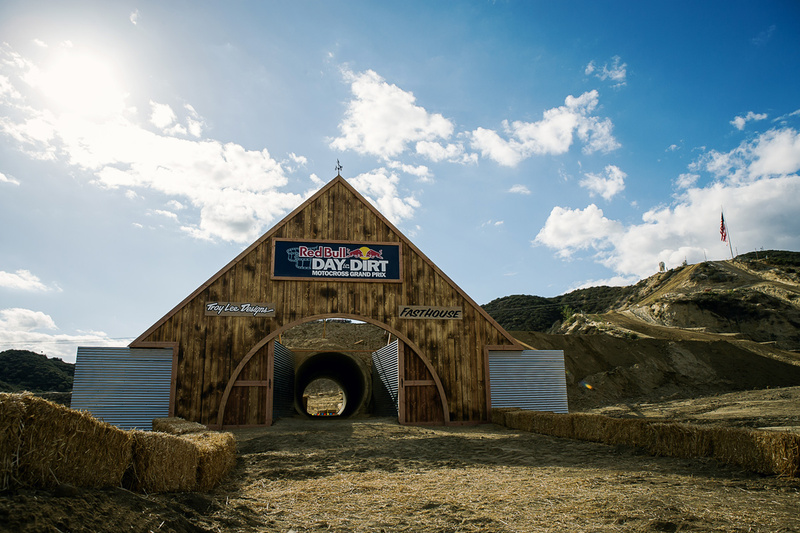 If you couldn't make it this year, you missed out on one of the most epic DITD events to date. 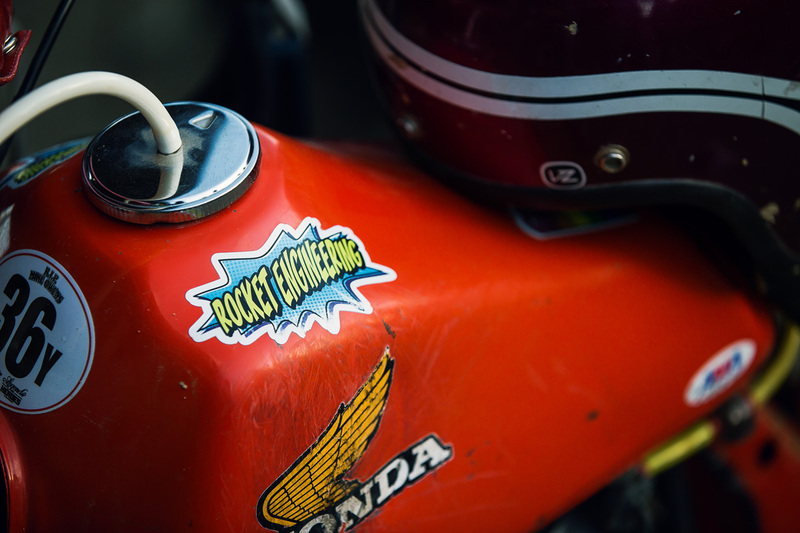 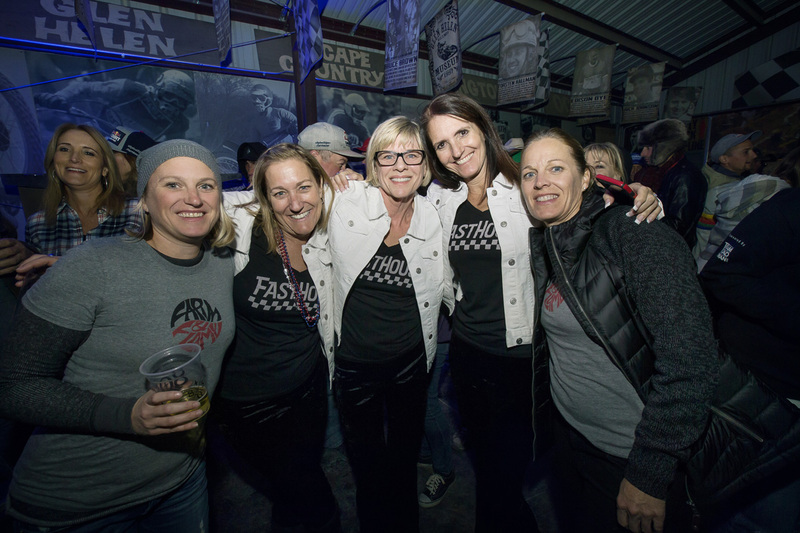 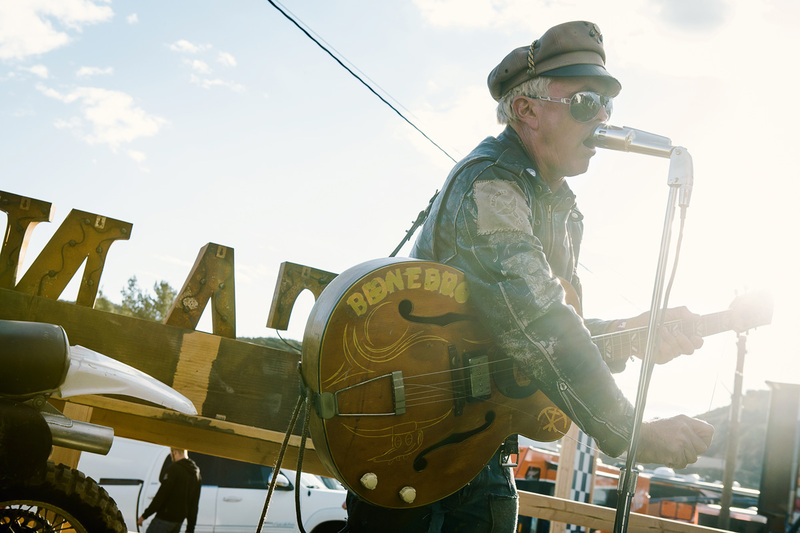 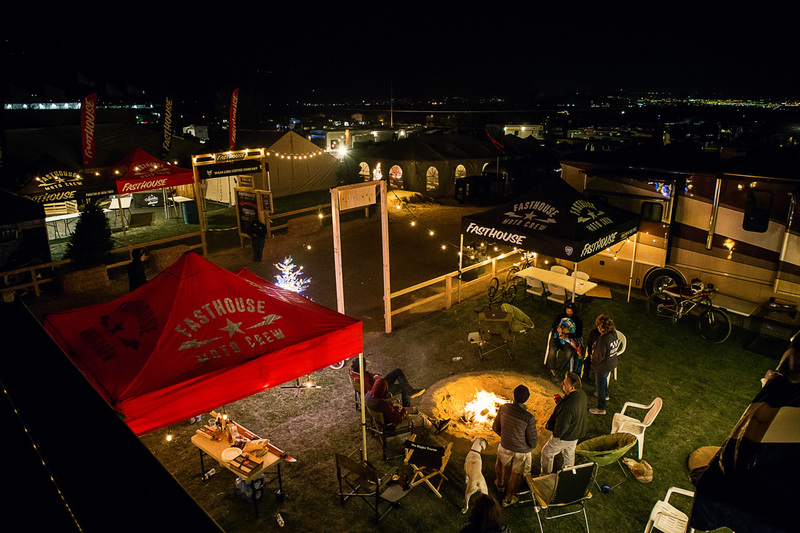 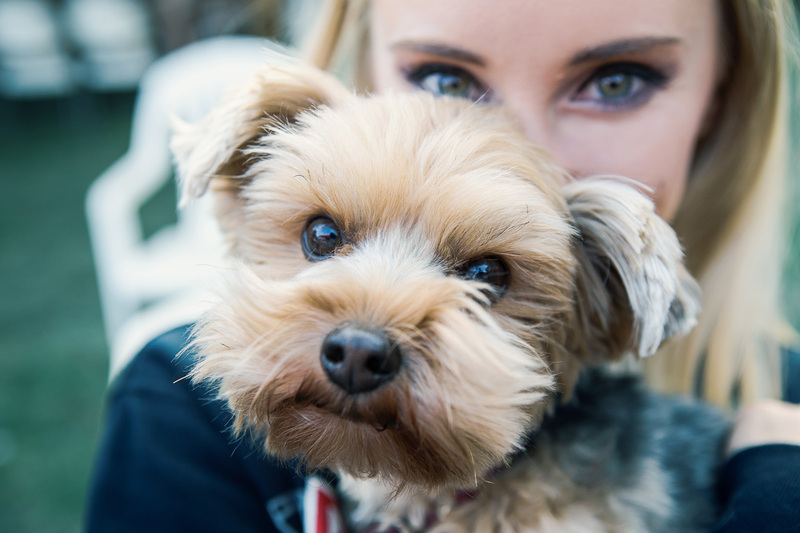 From the Saturday night Red Bull barn party to the Hell On Wheels TT race to the Evel movie on Friday night to the live bands, there was enough off-track action to keep anyone entertained. 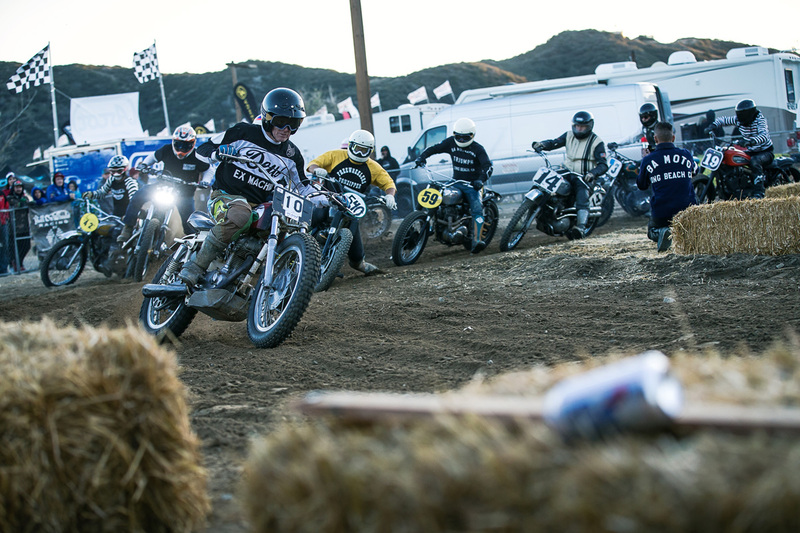 On the track, though, the racing didn't dissappoint, as everyone in attendance had a blast battling with friends new and old, as well as lining up against some of the sport's elite racers. 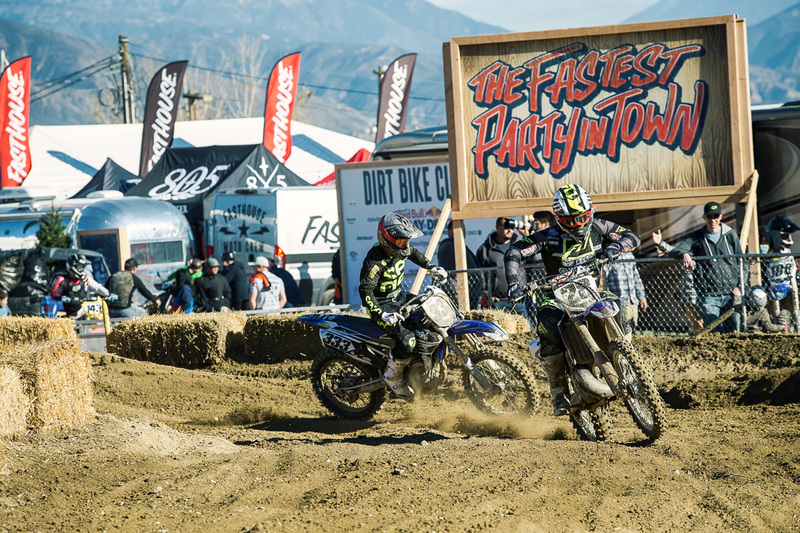 In some of the marquee races, Will Simons Jr. and Trevor Stewart took the win in the Stunt GP Team Race after a race-long battle with Timmy Weigand and Colton Hacker. 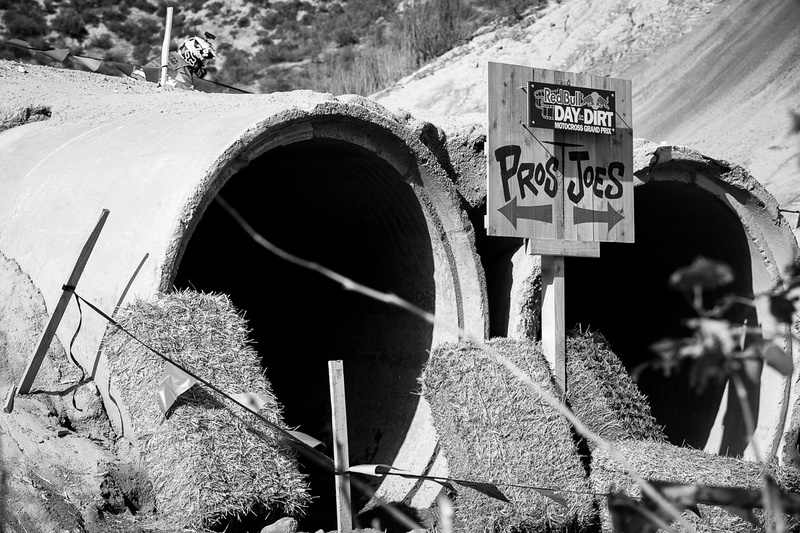 In Saturday's Pro/Am event, Josh Grant ran away with the win. 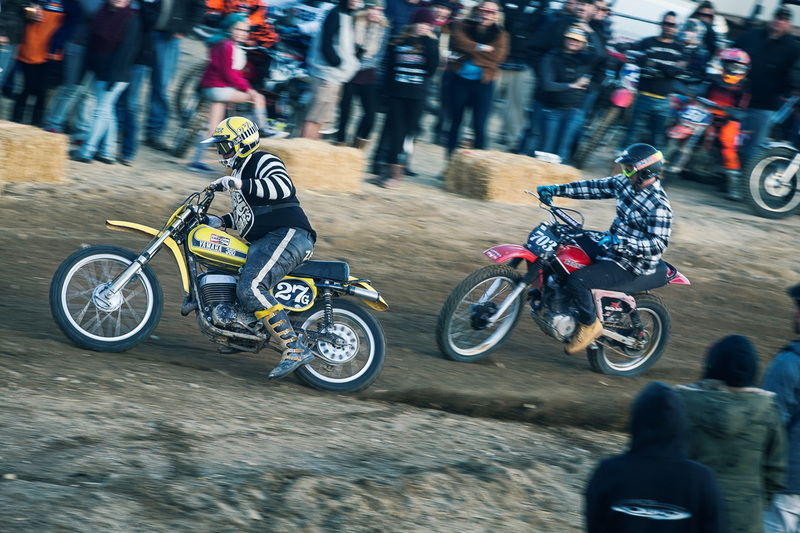 And in the biggest team race of the weekend, the Moto-A-GoGo Team Race, Zach Osborne and Taylor Robert took the victory before battling head-to-head for nearly the entire Coup de Grace race. 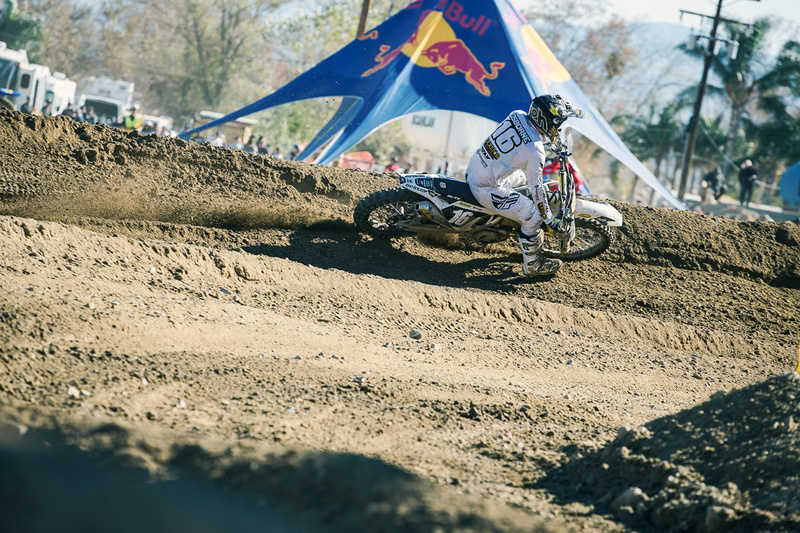 When the checkered flag finally came out for the nearly hour and a half race, Osborne crossed the line first with Robert second and Sean Cantrell third. 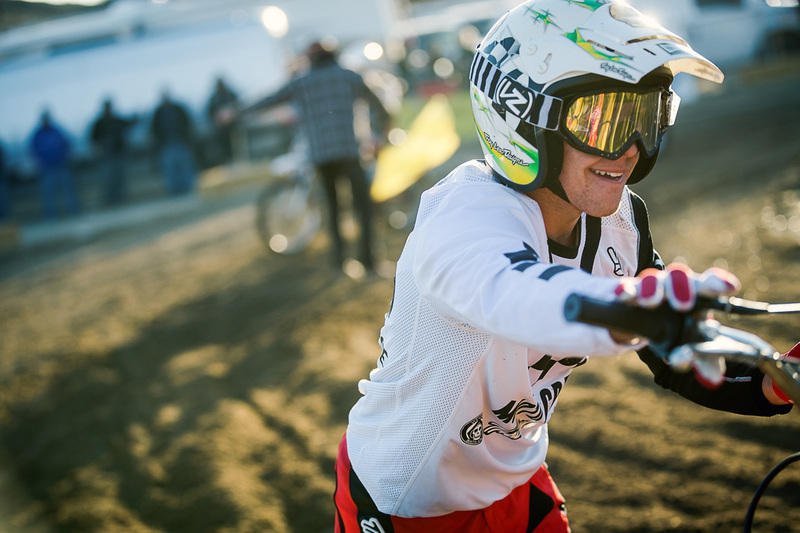 The race with the biggest prize package, though, was the three-man Bosa Nova team race. 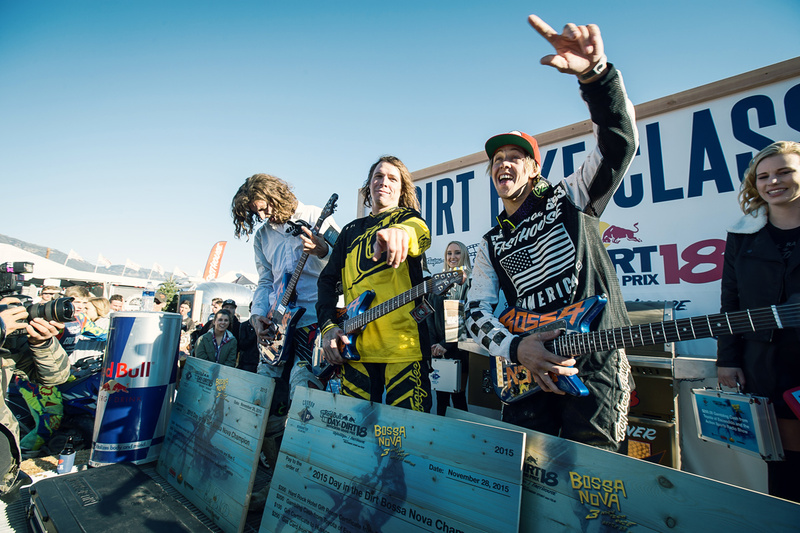 After the scores were tallied up, Tyler Bereman, Darryn Durham, and Arik Swan took home the loot, which included custom painted Troy Lee Designs Albert Lee guitars and a prize package from Connor Concrete Cutting, Toyota of Escondido, Blue C, and Hussong's Cantina Taqueria. 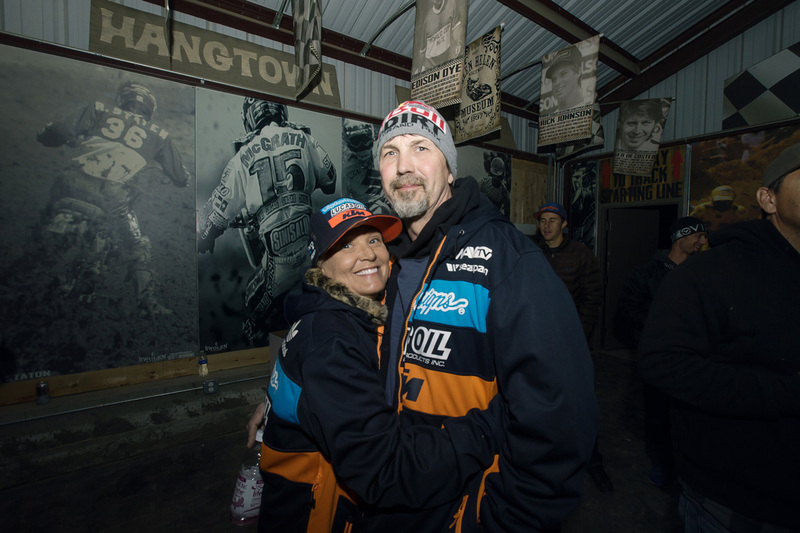 It was all presented to them in a touching speech by Bruce Penhall, in honor of his son Connor, during Sunday's podium ceremony. 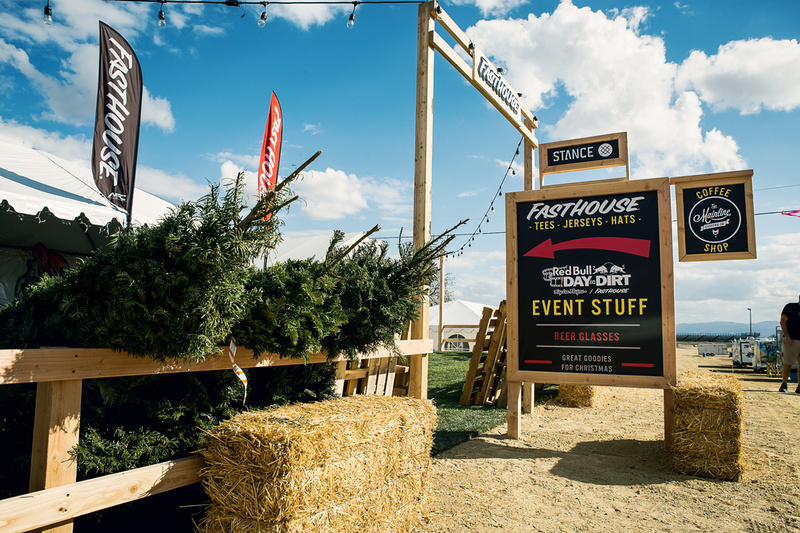 The Barn was a big hit this year. 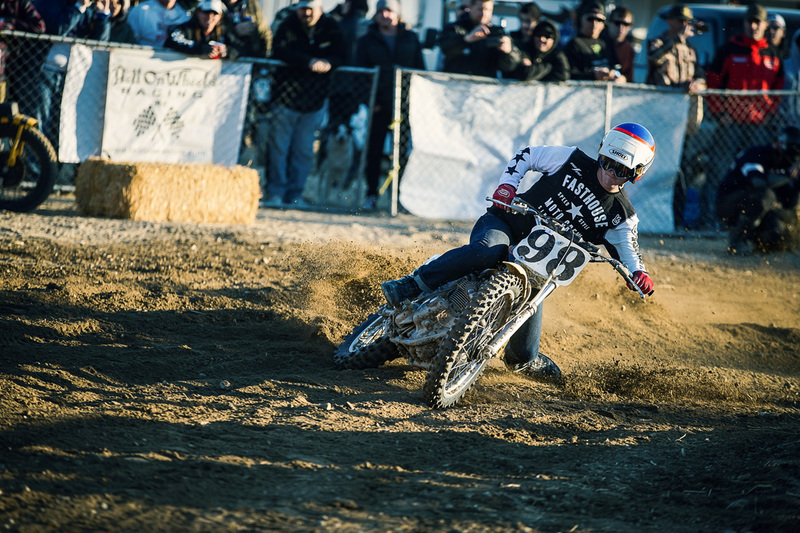 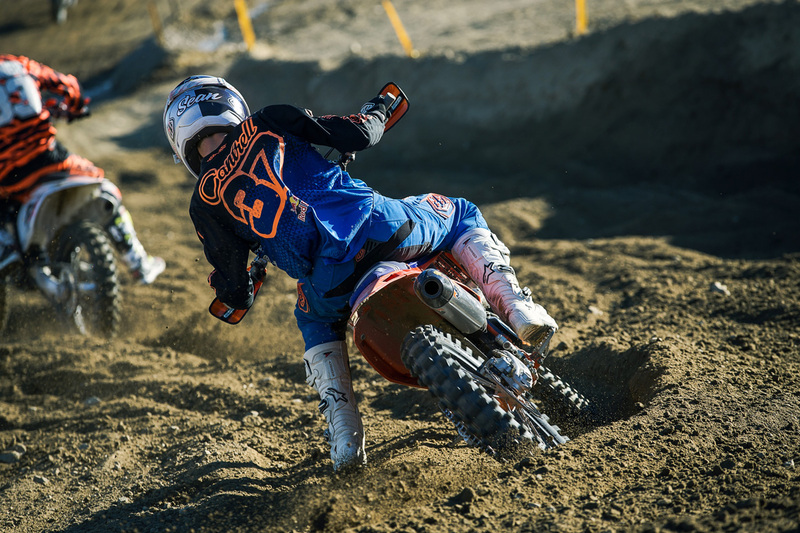 Taylor Robert had a successful weekend, finishing second in the Coup de Grace and winning the Moto-A-GoGo with Zach Osborne. 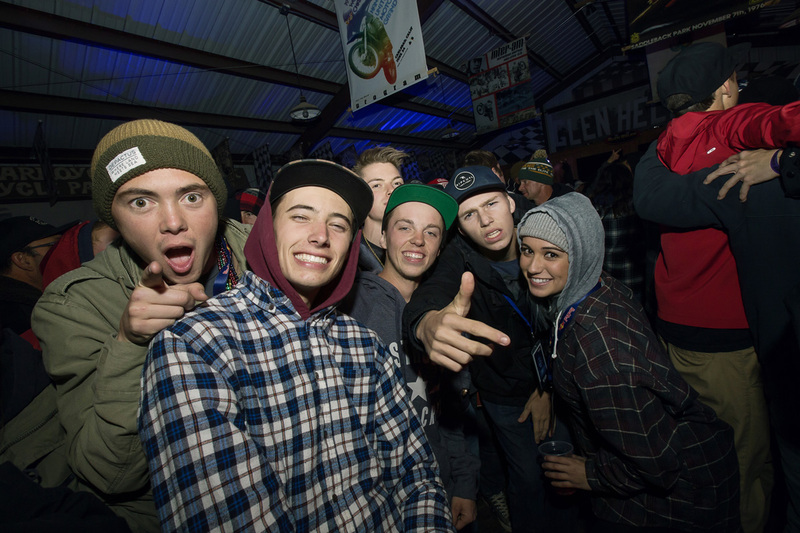 Stance hosted a rad father daughter duo called Bent Duo on Saturday night. 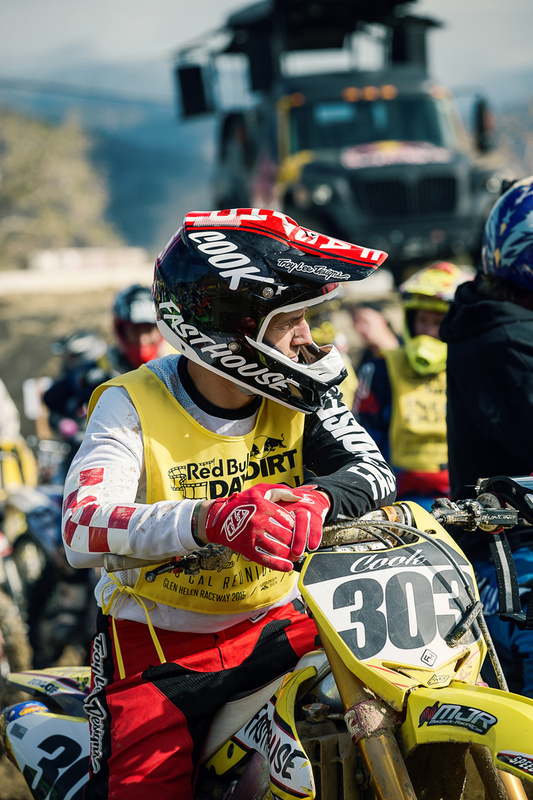 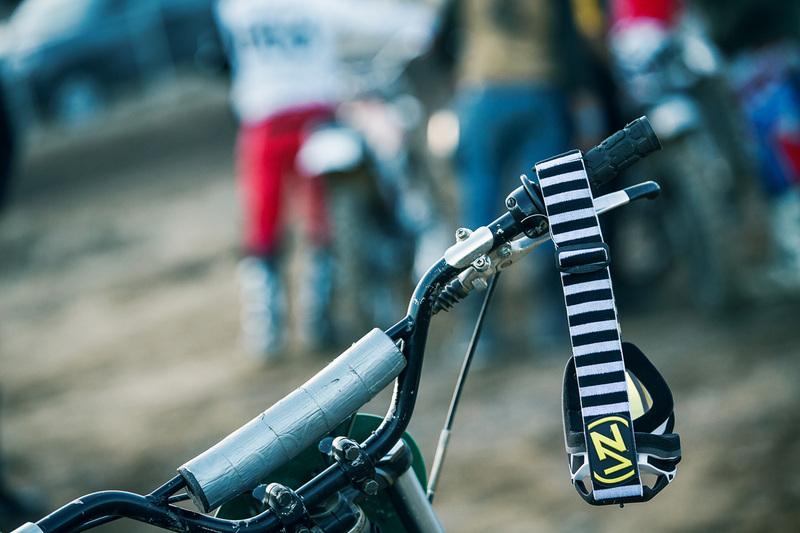 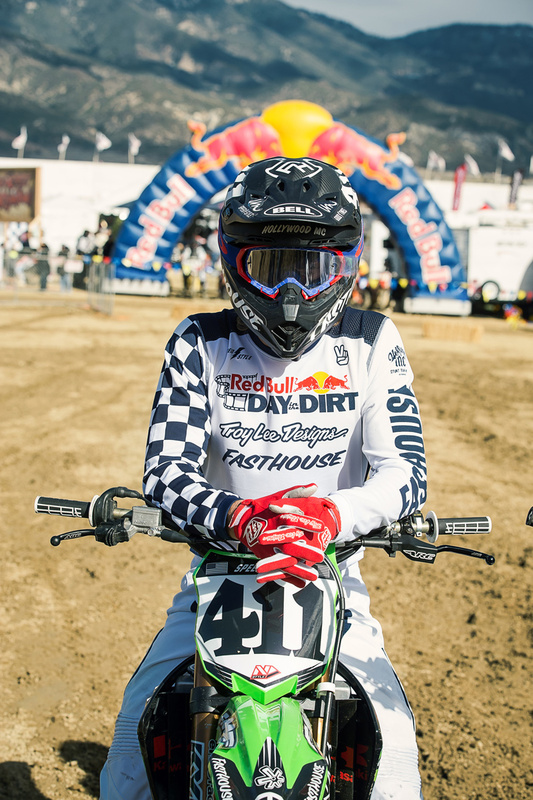 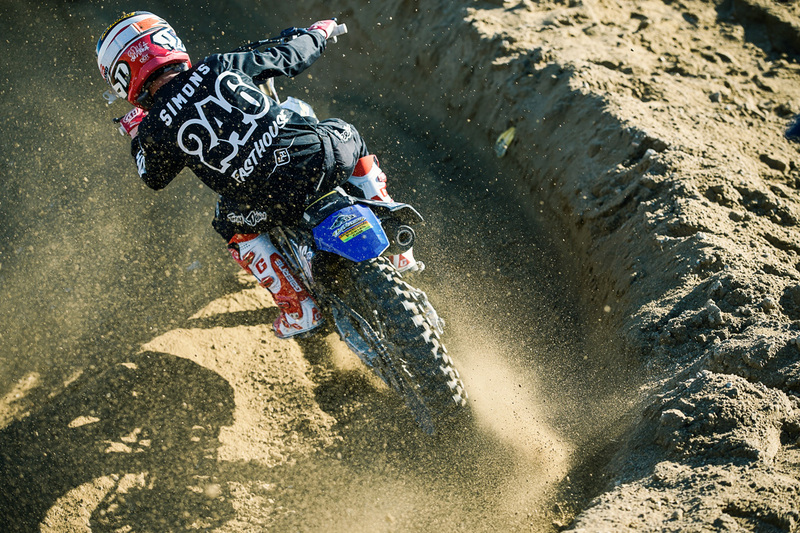 Von Zipper's Pat Lopez on the gas in the SoCal Reunion race. 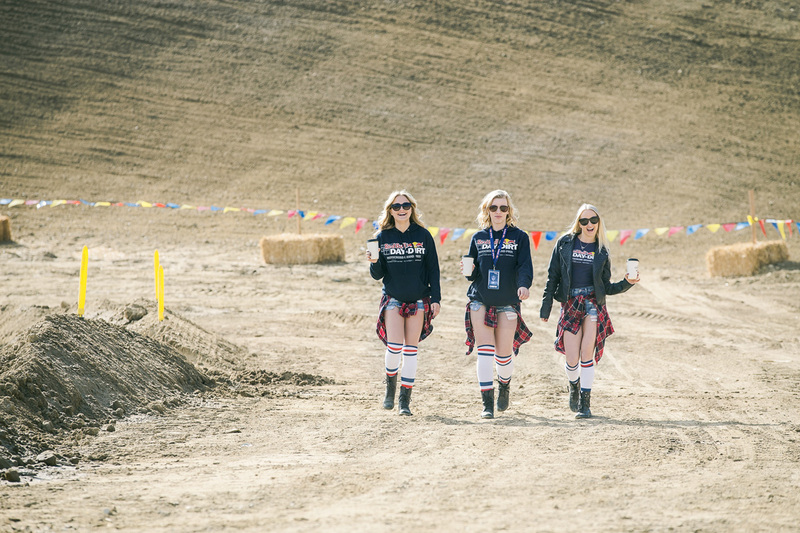 The Red Bull Day In The Dirt girls were everywhere. 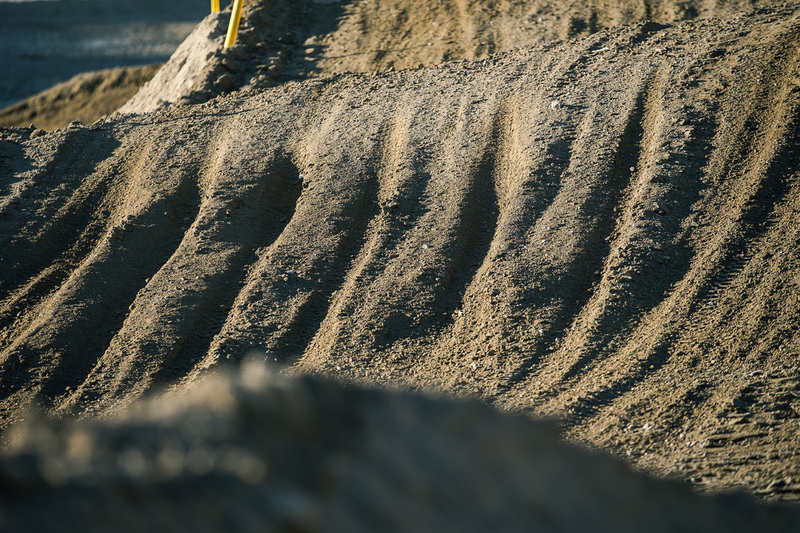 The track definitely got rough. 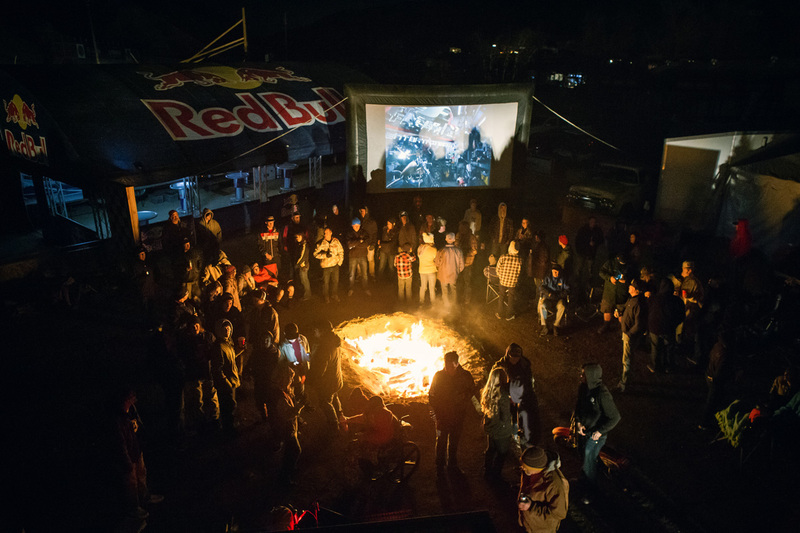 The Evel movie played on the big screen Friday night. 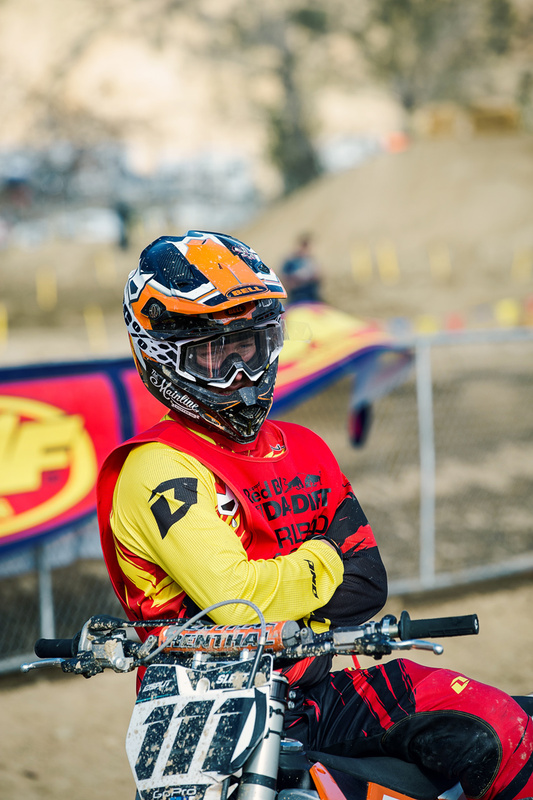 Josh Grant ran away with the Pro/Am race on Saturday. 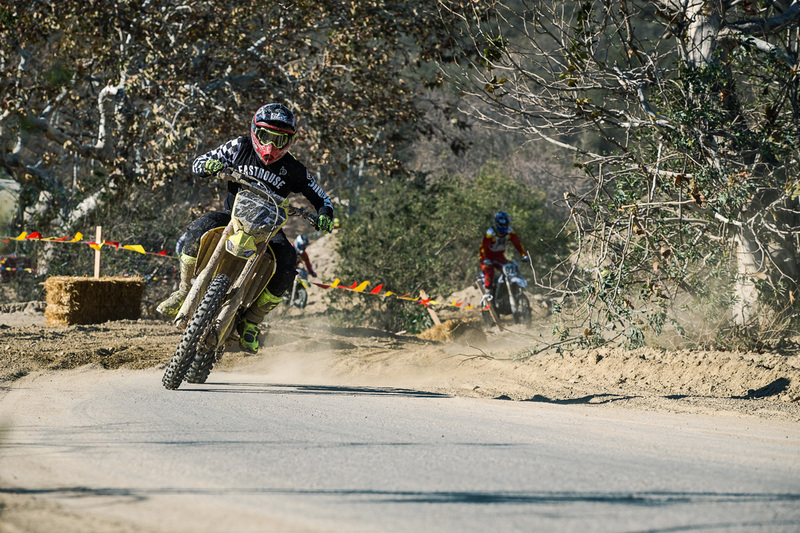 Michael Sleeter took the win in the SoCal Reunion race. 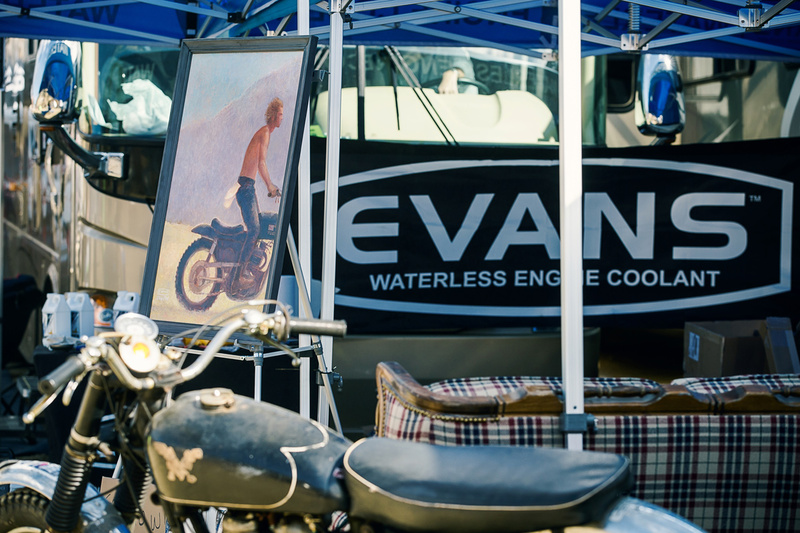 Evans Coolant raffled off this rad Steve McQueen painting. 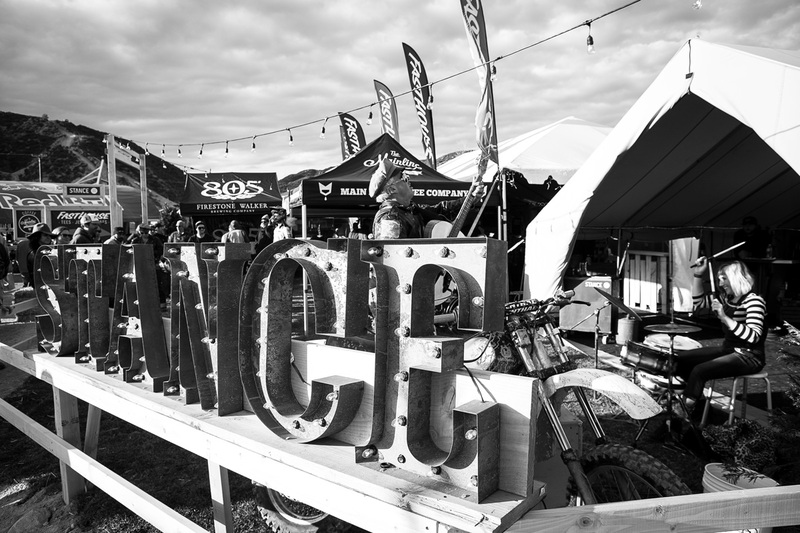 There were quite a few Ironman (and Iron Woman) finishers. 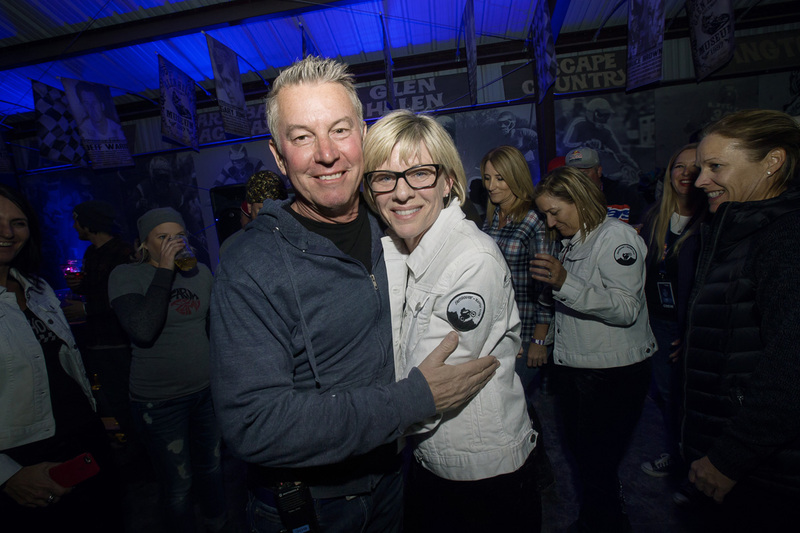 At 60 years old, Bill Lutes completed the Ironman challenge. 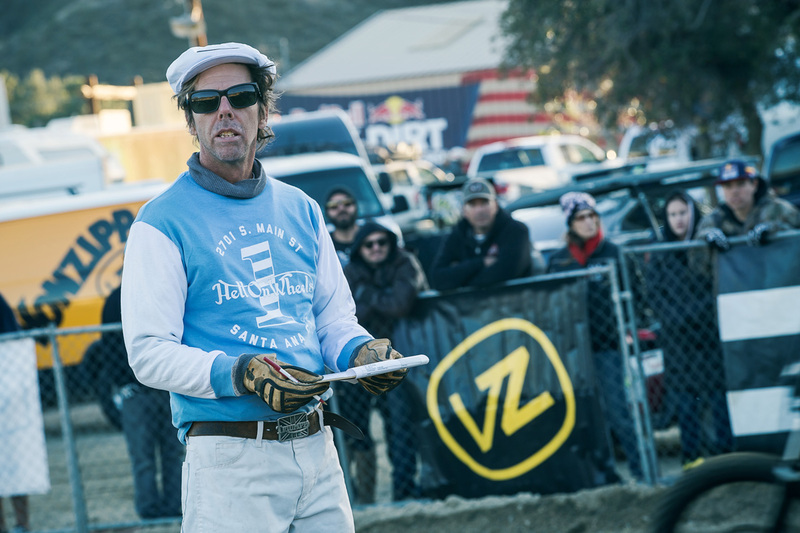 Meatball didn't dissappoint with the Hell On Wheels race on Saturday night. 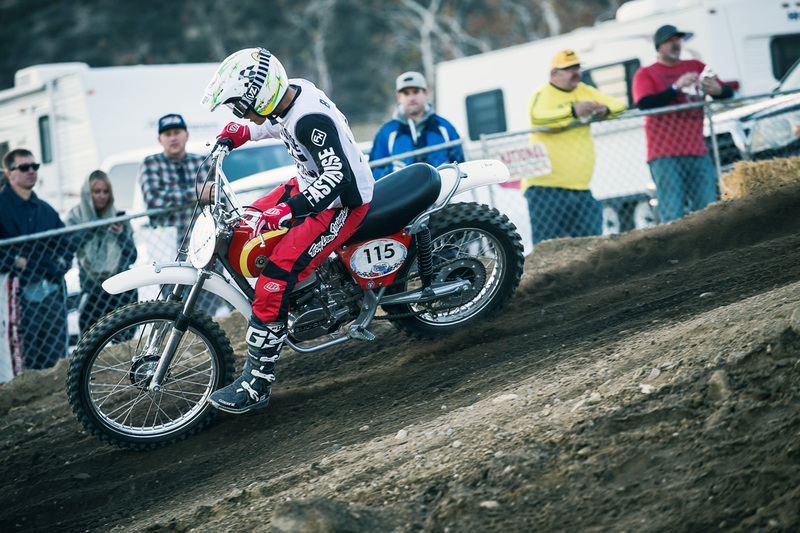 Tyler Bereman was all smiles aboard his Bultaco. 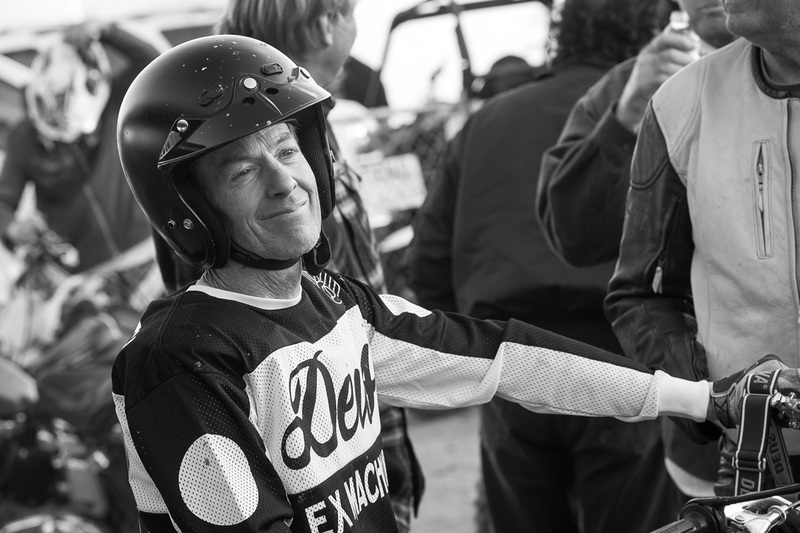 Ajay Hateley clearly takes after his dad. 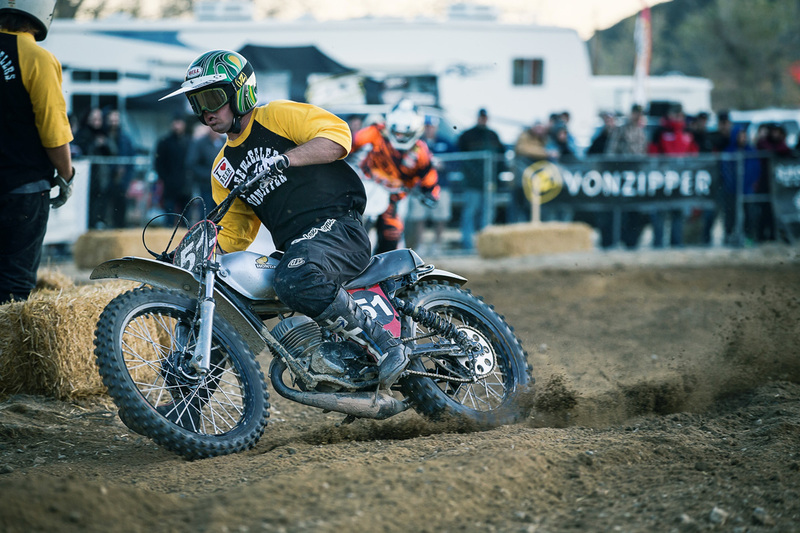 John Simanovich was ripping on his Honda Elsinore. 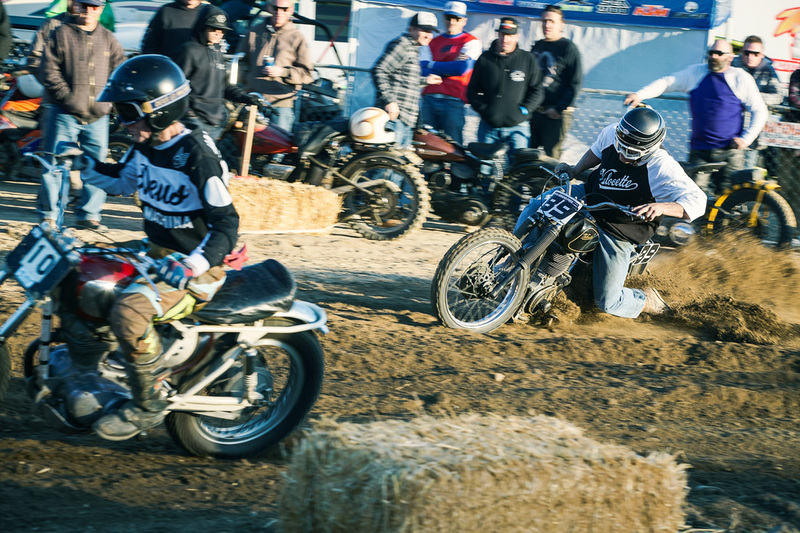 Greg "Zeke" Landers leading Ricky York. 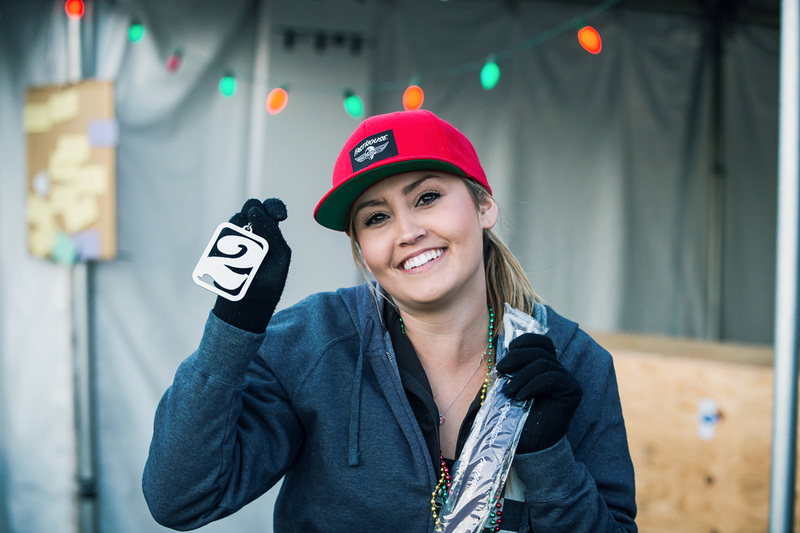 Kaile Fletcher was stoked on her trophy. 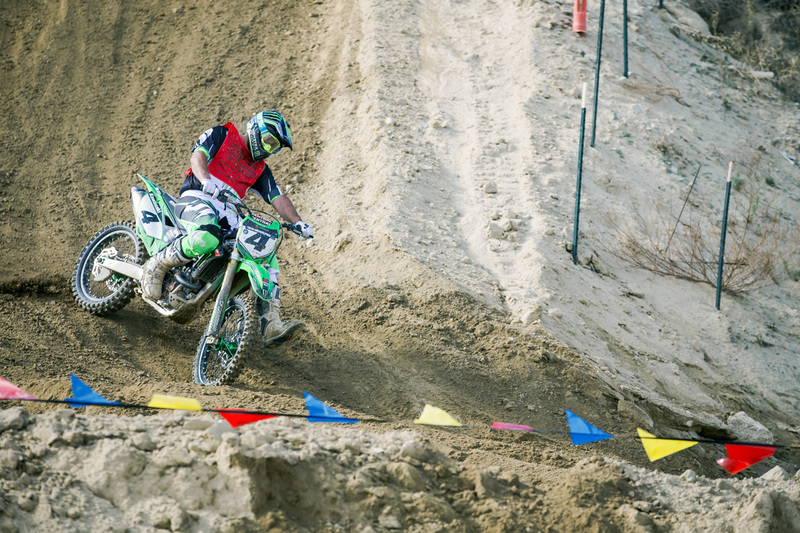 Will Simons Jr. and Trevor Stewart took the win in the Stunt GP team race. 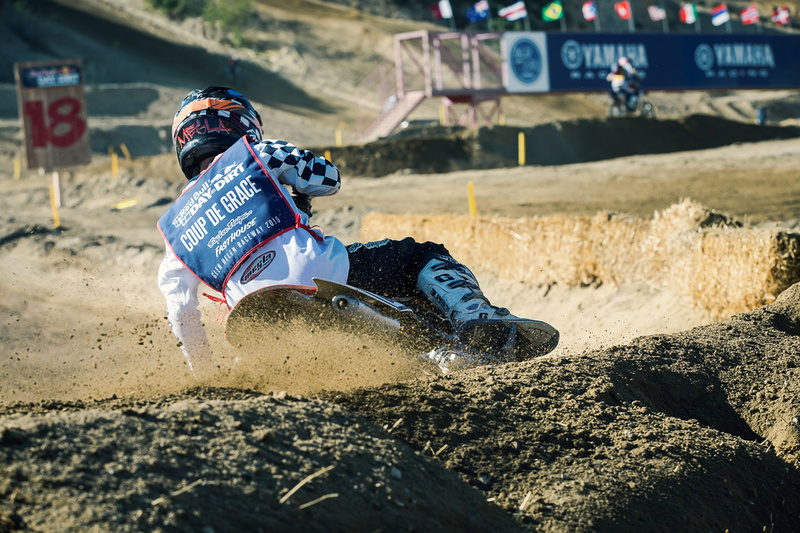 Zach Osborne took the big win in the Coup de Grace, taking home a custom-painted Traeger Troy Lee Designs BBQ. 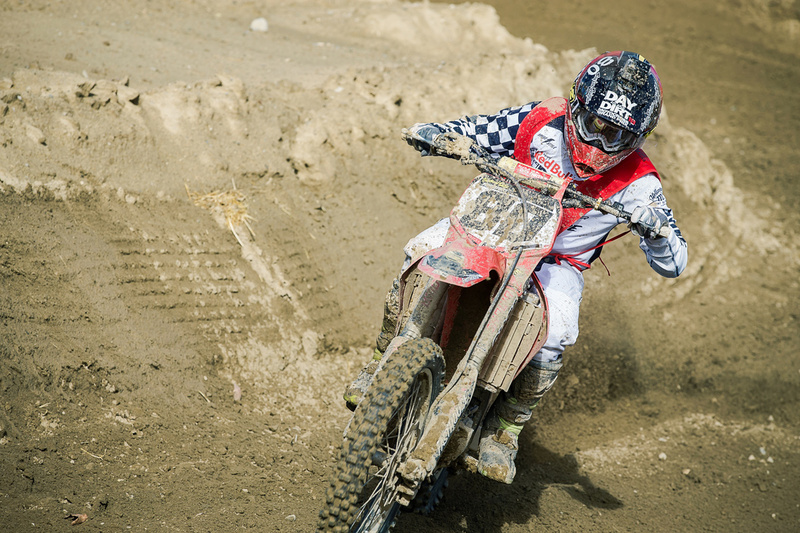 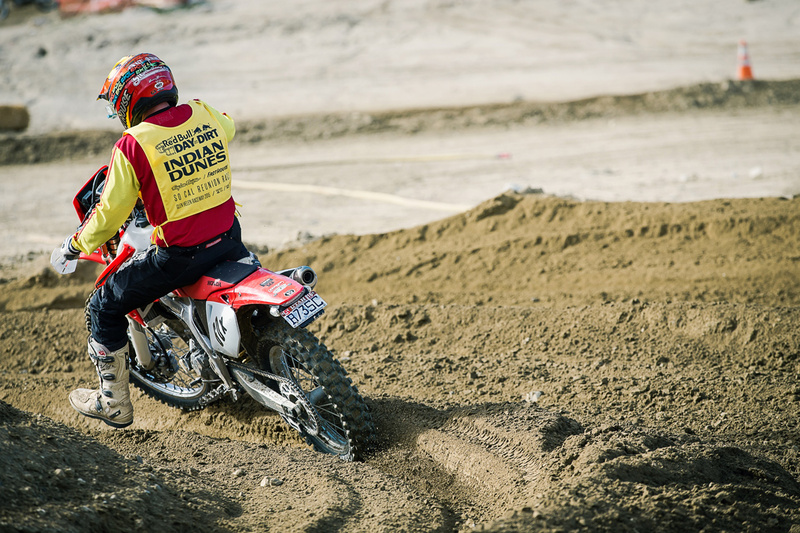 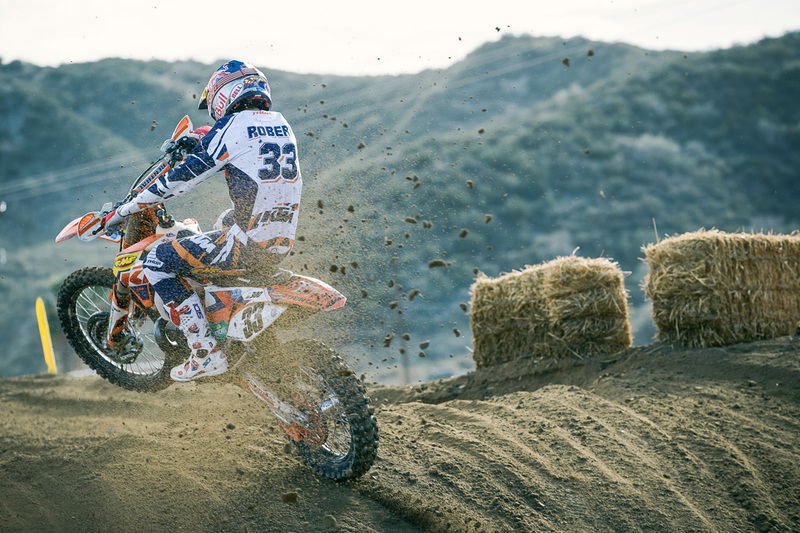 Arik Swan, Tyler Bereman, and Darryn Durham took the win in the Bosa Nova race. 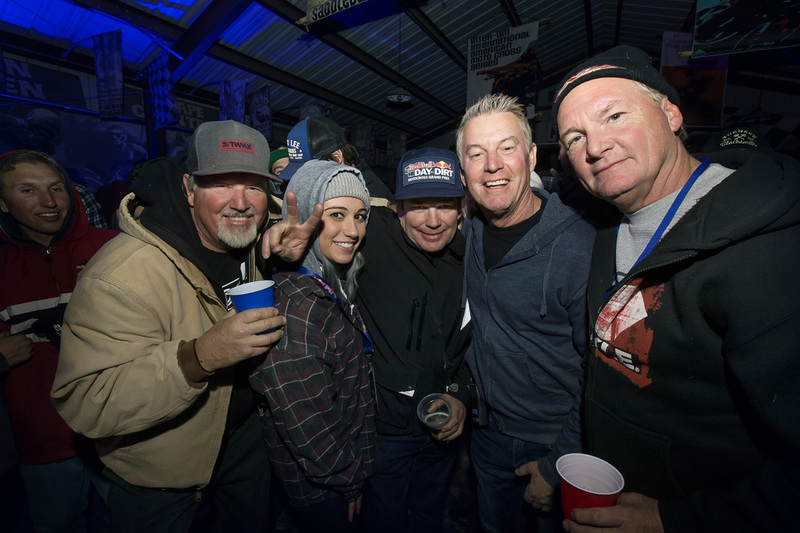 For their efforts, they each took home a custom guitar and a huge prize package thanks in large part to Conner Concrete Cutting and Bruce Penhall. 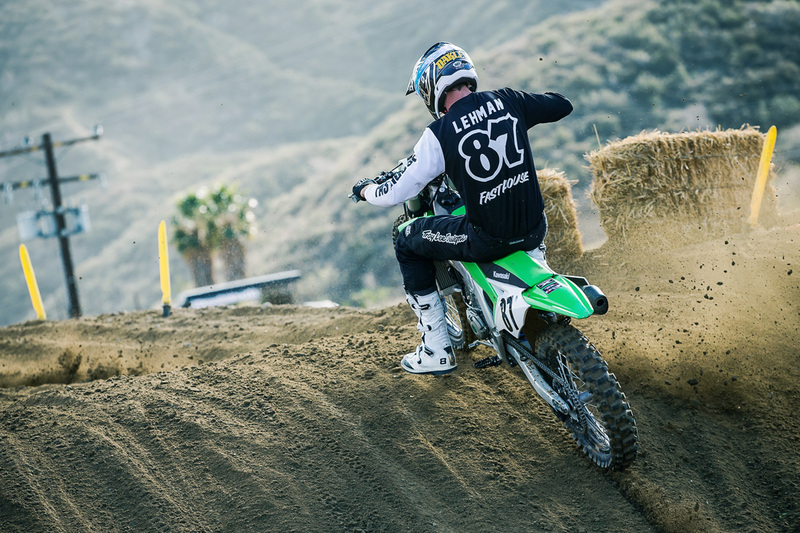 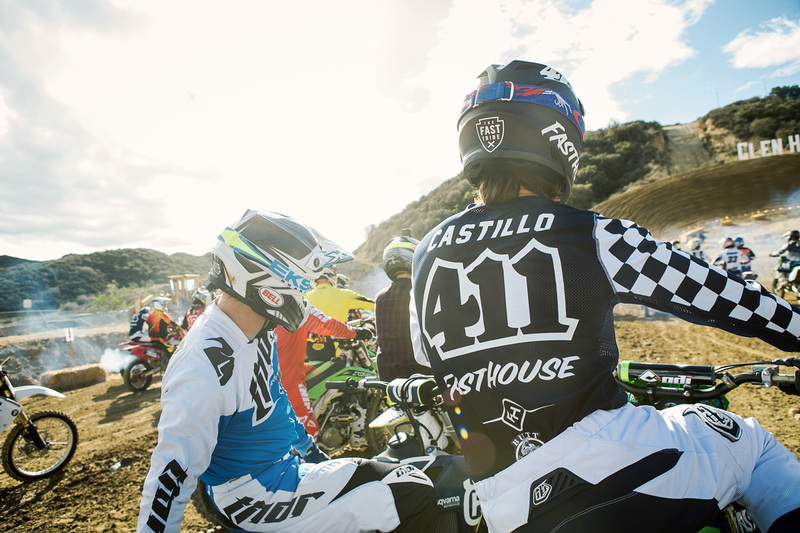 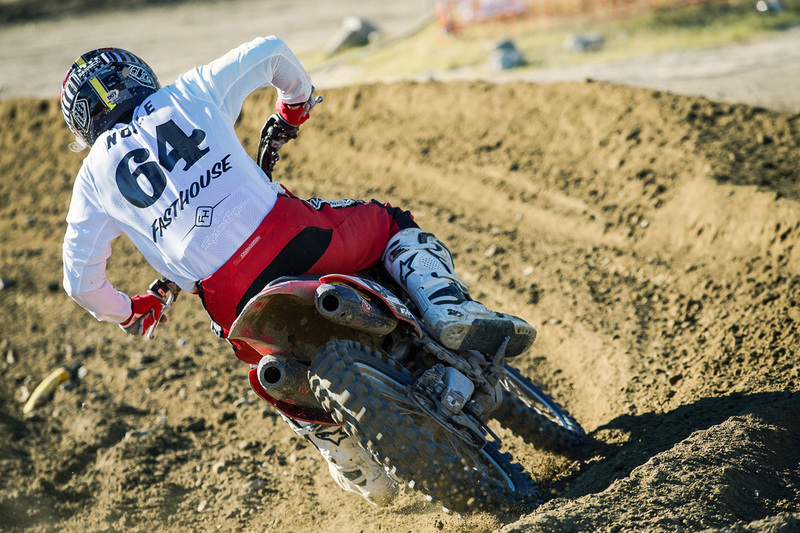 Fasthouse's newest rider Tyler Bereman put in a lot of laps over the weekend. 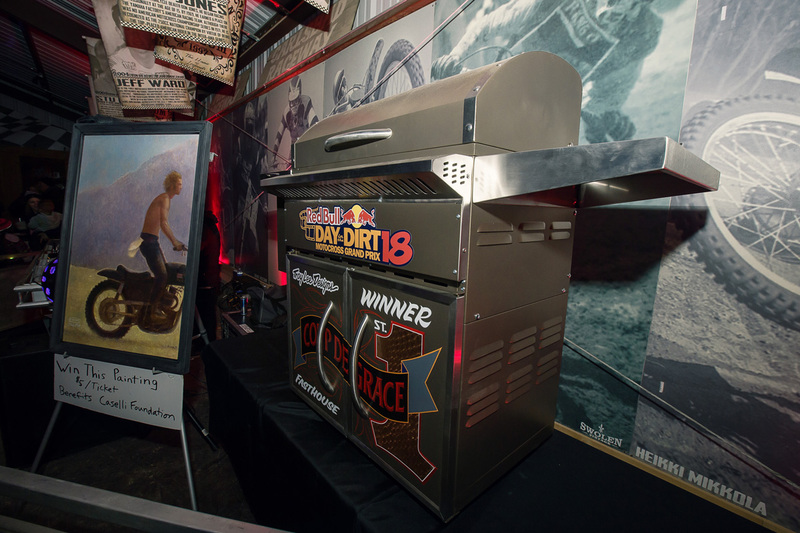 The custom Troy Lee Designs Traeger grill was one of a kind. 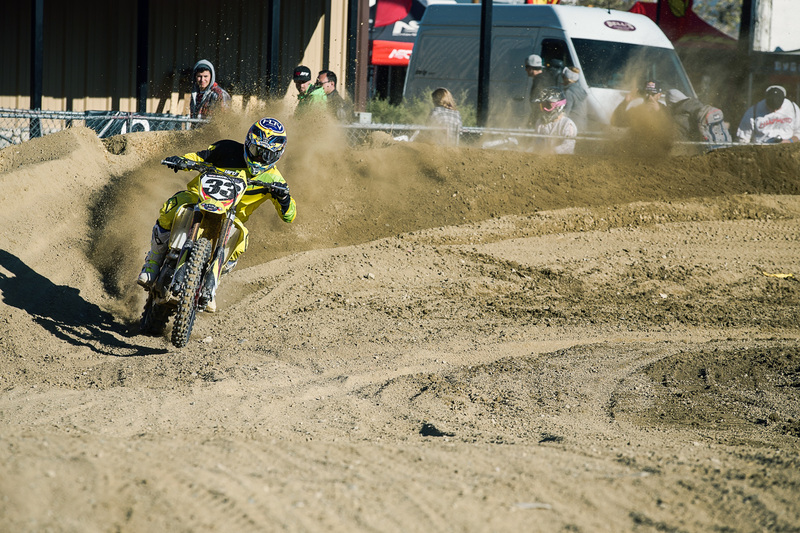 Weston Peick leading the way. 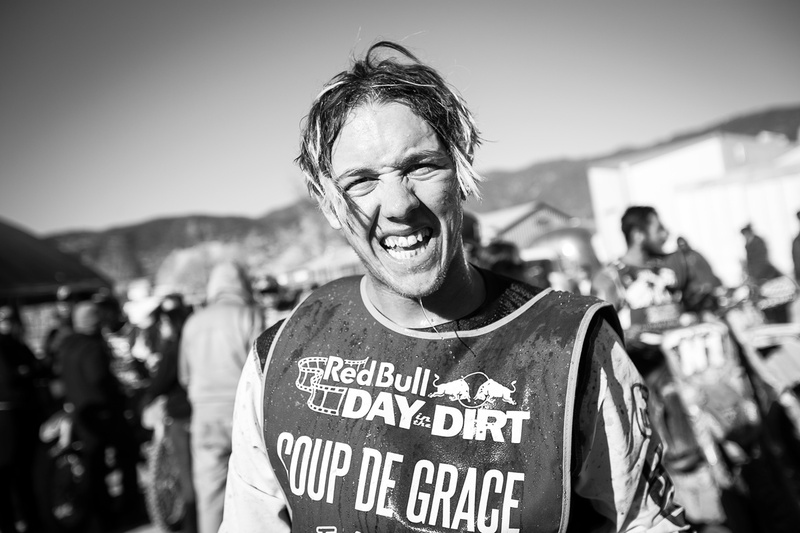 Sean Cantrell finished third overall in the grueling Coup de Grace race. 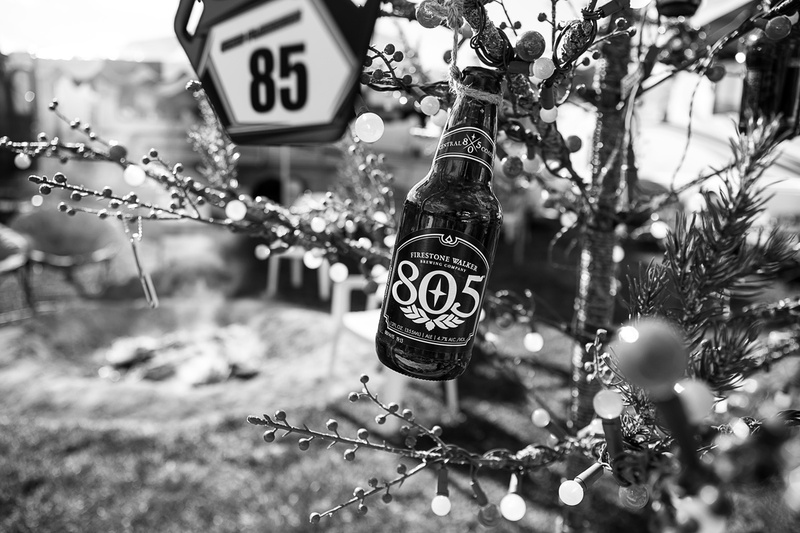 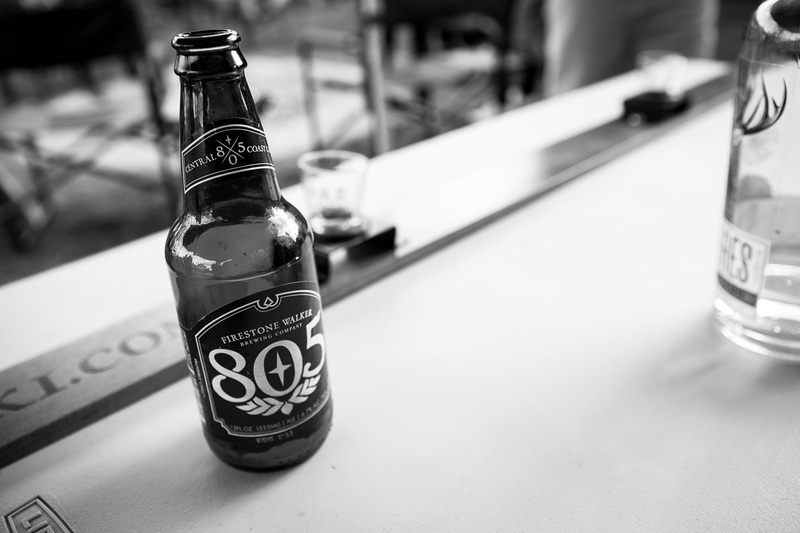 There was plenty of 805 to go around. 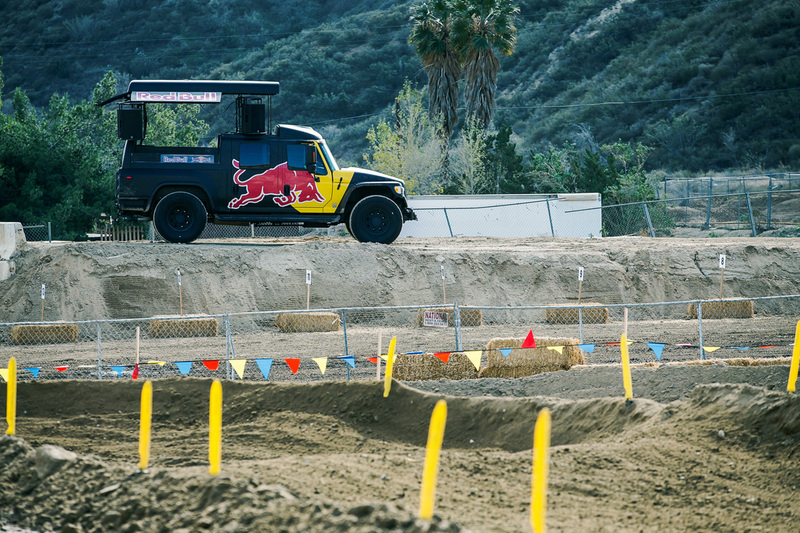 The pavement section mixed things up a little bit. 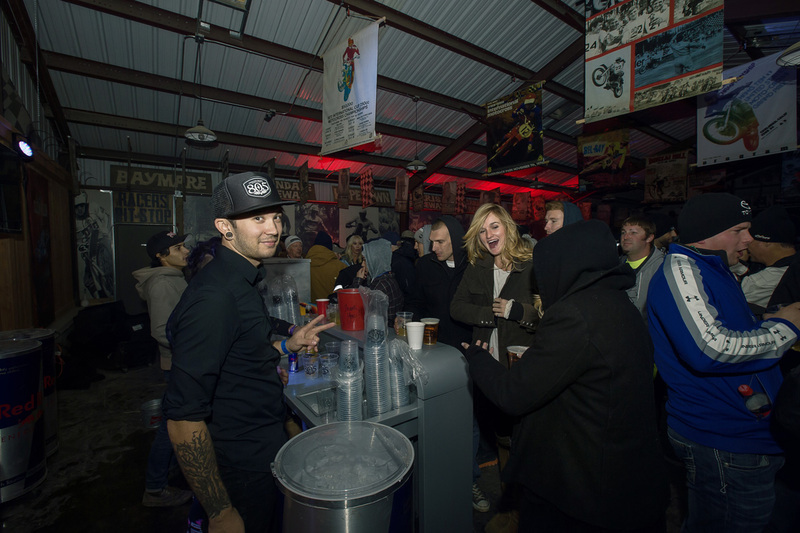 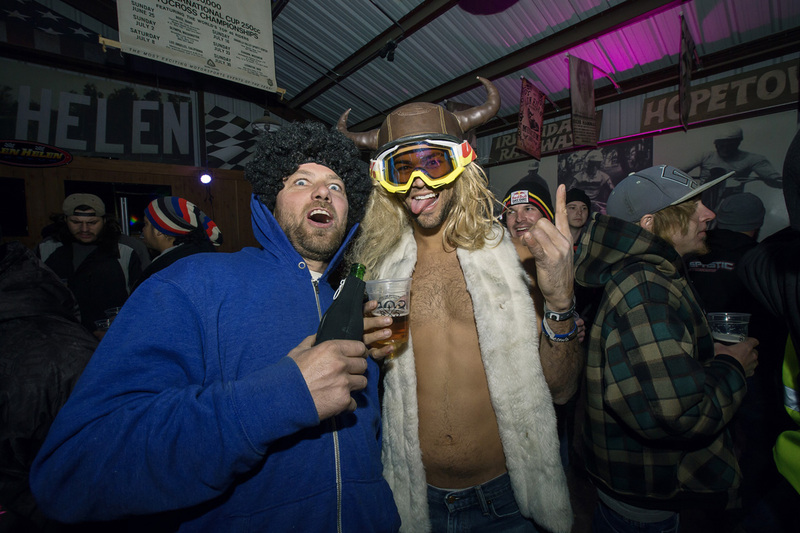 Things got a little weird at the Red Bull barn party on Saturday night. 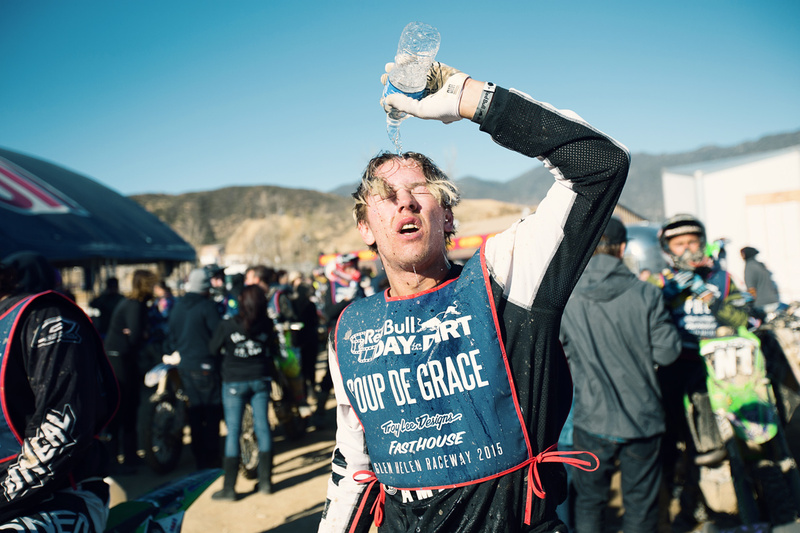 The Coup de Grace is a brutal race. 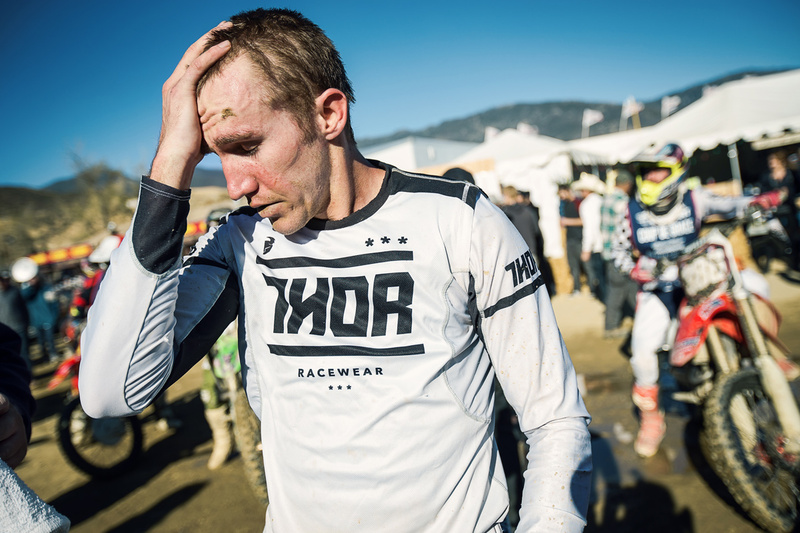 Taylor Robert following the Coup de Grace. 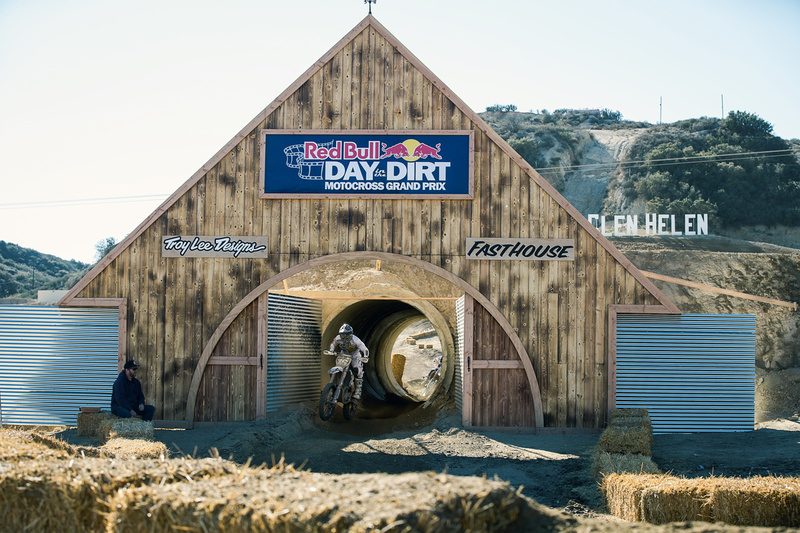 Osborne leading the way through The Barn in the Coup de Grace.